Microsoft provides innovative technologies that will help you fulfill your company's potential. Engage your customers, empower your employees, optimize your operations and transform your products with Microsoft cloud software. Enhance Microsoft Dynamics 365 with purpose-built apps. proMX products are designed to help you get the most out of your solution, whether by adding new features, increasing flexibility or boosting existing functionality. Business solutions are often associated with extensive and rigid software suites that are laborious to implement, require considerable maintenance and are so complex that only absolute specialists. proMX is your digitalization partner. Our goal is to help you transform your processes to make your business more agile, efficient and competitive. As a Microsoft Partner we are both extremely experienced and well-connected. Centralize all marketing activity in one app. Microsoft Dynamics 365 for Marketing supports the entire process - from bulk e-mails and event management to internet marketing. Once you have attracted the right prospects, nurture them with relevant content before handing off sales-ready leads with detailed insights. Nurture leads with behavior-based customer journeys. Score and segment your leads, target them with personalized bulk e-mails and easily design landing pages and forms that will automatically update data as needed. The Dynamics 365 sales and marketing apps are built on the same platform and thus share information, allowing you to align both areas. Shared extensive lead insights perfectly prepare the sales team for the work ahead. Embedded insights show you the results of your customer journeys and where a change of course might be needed. Data for each automated step is also available in detail for stakeholders outside the app. Automation is key for efficient marketing. However, automated marketing activities can easily feel generic. Through segmentation, personalization and behavior-based customer journeys, Dynamics 365 for Marketing helps you avoid alienating promising leads with irrelevant and impersonal content. The app not only enables you to run all your activities in one place, it also allows you assess the state of play and provides you with insights on how well the different automation steps have worked. 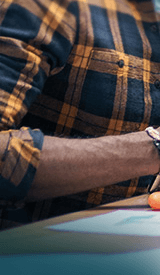 Once you have nurtured leads far enough for them to have become sales-ready, a workflow automatically transfers them to Sales, complete with comprehensive insights. 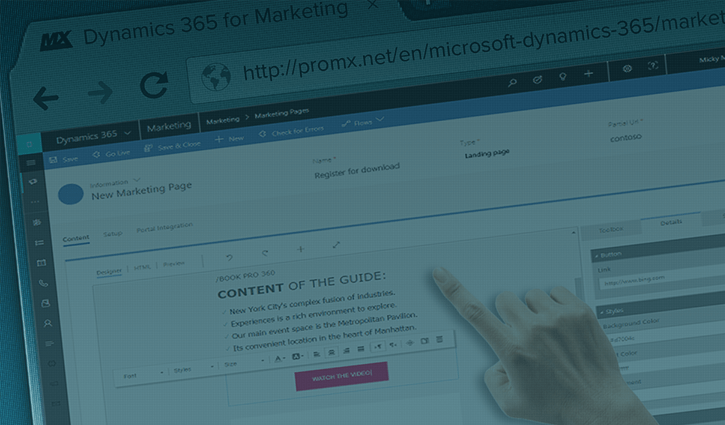 Some of what proMX has accumulated in Dynamics 365 for Marketing expertise comes from the earliest Microsoft trainings. The other part comes from the experiences of its own team. Like most marketing departments, it used to work with a number of different tools. Now, however, to its great delight, all these different solutions have become obsolete, their functionality merged in Dynamics 365 for Marketing. Experience the convenience of a single full-stack marketing tool in a free webinar with a proMX expert as your guide. A sales management app that is more than just a CRM system. 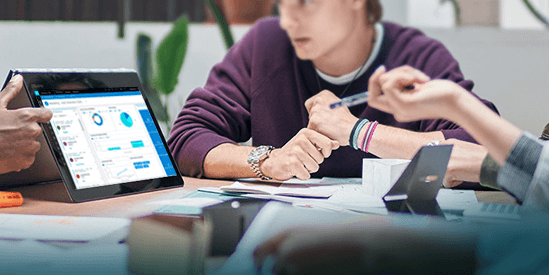 Dynamics 365 for Sales transforms your processes with AI, gamification, LinkedIn Sales Navigator and more. Modern selling will benefit your relationships and accelerate your performance. A project management app that offers broad support in customer engagement for sales and project teams. Dynamics 365 for Project Service Automation includes automation features for project planning, resource management, project billing and more. A platform for modern customer service. 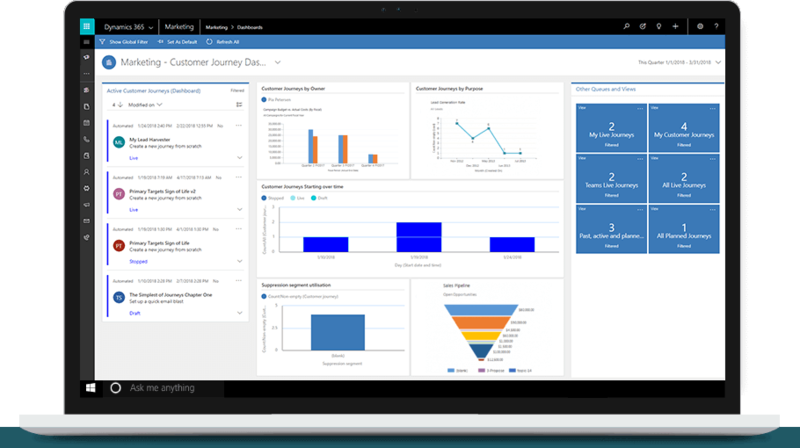 Dynamics 365 for Customer Service helps you manage service cases in a smart, fast and personalized way. Implement self-service options and include AI and Machine Learning for efficient case resolution. A field service app that helps you turn this tricky business area into a profit maker. Dynamics 365 for Field Service assists disposers with automated planning and service technicians with mobile apps and lets you remotely monitor assets with Connected Field Service. Our experts will be glad to answer any questions you might have regarding our products and services.